Running a business is a complicated affair; running a non-profit organization, even more so. In addition to performing all of your normal daily functions, you and your executive colleagues have to constantly be wary of legal action. To protect yourself and your organization from litigation, consider purchasing directors and officers (D&O) insurance from a company that specializes in insurance coverage for non-profits in New York City . Here’s what you need to know about D&O insurance and why it’s important to protect yourself and your fellow officers. D&O insurance is a special type of liability insurance meant to protect directors, officers, and other high-up executive personnel within an organization from litigation. Since these individuals are responsible for making big decision that impact the organization, its employees, and the general public, they are on the hook when things go wrong. Luckily, D&O insurance covers the cost of defense if a lawsuit is filed. In other words, taking out a D&O insurance policy can protect your organization from going bankrupt after an unfortunate mistake. Just like corporate directors and board members, non-profit directors and officers are held accountable if they make a bad decision. Surprisingly, a majority of the claims brought against non-profit groups are from employees. In fact, a survey by consultants Tillinghast revealed that 96% of claims brought against non-profit organizations are from employees, compared with just 23% against public companies. In a recent example, and one that occurred not too far from New York City, the executive board members of Consolidated Industries of Greater Syracuse, a non-profit agency providing job training to the disadvantaged and disabled, were sued by former employees seeking unpaid wages and damages totaling $10 million. 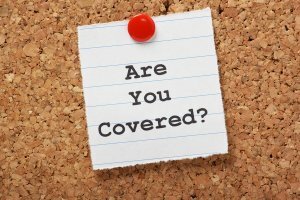 While D&O insurance certainly doesn’t give your non-profit organization license to act irresponsibly without consequence, it can help cover the losses sustained during certain legal proceedings.